The 2019 Commemoration announced that it has received a $1.2 million gift from Dominion Resources to support commemoration events and projects marking the 400th anniversary of key events in the founding of America. 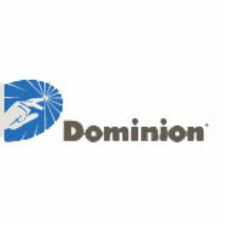 Dominion is making the gift through its charitable arm, the Dominion Foundation, to build awareness of Virginia’s unique role in the creation of the United States. As a Founding Partner of the 2019 Commemoration, Dominion will help underwrite renovation of the Fort Monroe Visitor and Education Center in Hampton, Virginia. The 2019 Commemoration, under the theme AMERICAN EVOLUTION™ seeks to showcase Virginia’s role in the creation of the United States by highlighting events that occurred in 1619: the first legislative assembly in the New World, the arrival of the first Africans to English North America, the arrival of women to build community, the first official English Thanksgiving in North America, and the spirit of innovation and entrepreneurialism that became a model for the American spirit.